Many small businesses are looking for clean energy sources to meet their sustainable solution needs. The motivation can be financial, driven by regulatory mandates, a desire to be more socially responsible, a commitment to avail of renewables wherever and whenever possible — or other reasons. Sustainable energy solutions are literally found in the air, deep underground, and in our oceans. There are some easy steps you can take to save energy and cut costs at your small business. From adjusting your thermostat down a few degrees to considering new energy saving technologies, clean energy for business owners is the way to go. 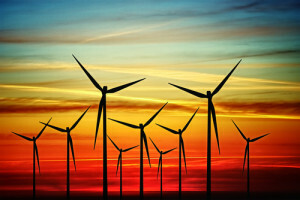 With more companies setting sustainability targets or eyeing advantageous renewable energy costs with sparks of interest, lots of new approaches are available so that clean energy for business can become a reality. Here’s an overview. A decades-old, energy-efficient heating and cooling technology, ground-source heat pumps warm and cool homes. It’s especially valuable in colder climates where expensive fossil fuel oil is burned for warmth. How does a ground-source heat pump work? Drawing upon the relatively stable temperature of the Earth below the frost line, the ground-source heat pump pulls and pushes heat using pipes filled with a water, an antifreeze solution, food-grade propylene glycol, or comparable medium. The ground-source heat pumps work best in areas of the world where soil tends to maintain temperatures equivalent to the mean annual air temperature above it — the ground temperatures range from 45°F (7°C) to 75°F (21°C), according to the US Department of Energy. Seasonal temperature variations should be limited. Ground-source heat pump installers place solution-filled pipes underground either horizontally or vertically. With the help of a heat pump, the solution that circulates in the pipes transfers heat from the ground to the building in the winter. During the summer, the solution forces heat out of the building and underground. Ground-source heat pumps can provide heating using 25 to 30% of the energy consumed by most conventional alternatives. Many benefits exist to selecting a wood-fired central heat system. Woodstoves generally cost less and have better overall efficiency and lower emissions than other choices. Central wood heaters and boilers, normally installed in the basement or a utility room, distribute their heat with forced hot-air or circulating hot-water systems and can heat any home. The best modern wood-fired furnaces are designed to achieve extremely hot fires that create a lot of usable heat and leave little in the way of emissions to go up the stack. Except for the handling of the firewood, these heaters tend to function more or less like their oil- or gas-fired competitors and are generally controlled by a standard thermostat. Mother Earth News says that, when your home is warm enough, the thermostat causes the damper to close, and the fire burns at a reduced level. When more heat is called for, the damper automatically opens again, and the fire comes back to a higher temperature. Regardless of their individual features, they all burn wood to heat the air in a heat exchanger. The heated air then is distributed to the living space in your home through ductwork. Because there is generally no heat storage capacity in a forced-hot-air system, the furnace needs to be refueled regularly in order to maintain a comfortable temperature in your home during the colder winter months. According to the American Solar Energy Society, in most parts of North America, the most cost-efficient energy investment is with domestic solar water heating (DSWH). Depending on its size, complexity, and your climate, DSWH can be installed for $4,000 to $7,000 and may be eligible for a federal tax credit. At today’s energy prices, over the life of the system the cost to operate a solar hot water heater is about 20% lower than a conventional gas water heater and 40% lower than an electric one. As gas and electricity prices rise, DSWH benefits continue to increase, since solar energy avoids 2,400 pounds of CO2 per year and provides a secure domestic source of hot water. Solar hot water systems come in two options: passive and active. In warm climates — where freeze protection is not an issue — a simple passive system can provide plenty of hot water. This technology can help provide clean energy for small businesses, save money on heating and cooling bills, reduce greenhouse gas emissions, and maintain a high level of comfort and reliability. Solar power is becoming an increasingly important part of the planet’s energy mix. According to Environment America, the US now has over 53 gigawatts (GW) of solar photovoltaic (PV) capacity installed – enough to power 10.1 million homes and 26 times as much capacity as was installed at the end of 2010. Hundreds of thousands of US citizens have invested in solar energy and millions more are ready to join them. In 2016, solar photovoltaic grew faster than any other fuel, with China responsible for nearly half of worldwide expansion, according to the International Energy Agency (IEA). And, while the news seems to celebrate grand solar power projects, clean energy for business is less important. The solar industry develops cutting-edge technology and is part of a fast-growing global marketplace. The Solar Energy Industries Association says that solar energy is the cleanest and most abundant renewable energy source available, and the US has some of the richest solar resources in the world. Contemporary technology can harness this energy for a variety of uses, including generating electricity, providing light or a comfortable interior environment, and heating water for commercial use. Go green with a commercial solar installation! Your business will benefit by saving money on utility costs, which can then be routed back into your business. Your local community recognizes your efforts to contribute to a sustainable energy economy, and consumers and business owners value partners with significant commitments to the environment. Solar applications expand with your business because they are completely scalable. You don’t need to worry that you’re paying for more system than you need. For example, if you own a small retail establishment, roof-mounted panels can work very well, although there are certainly other options. Many companies around the US and world are realizing that clean energy for business makes sense. Going green is often more than the best ecological decision — it’s often the best business decision, too. The costs of switching to renewable energy may be larger up front, but they save money in the future and contribute to a sustainable world. Clean energy for business earns customer trust, and that’s an element that’s hard to duplicate.